Men's necktie designer Cavallieri presents the perfect business tie! 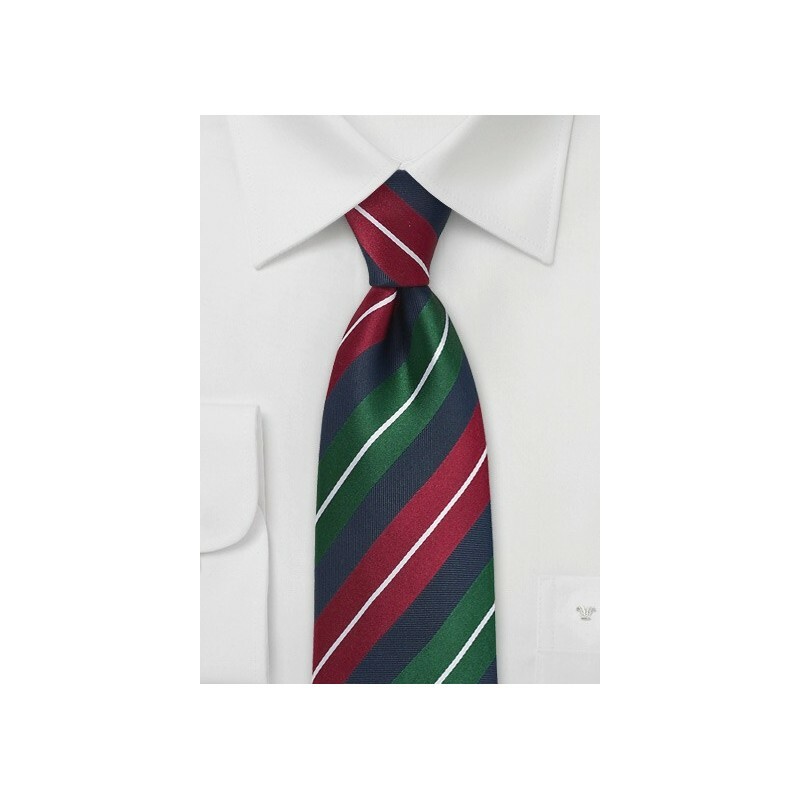 The classic, yet not-so-boring striped pattern is combined with elegant colors: hunter-green, cherry-red, and midnight blue. 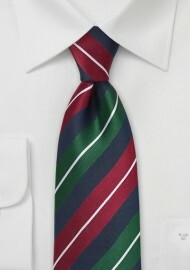 There are many great ways to dress this tie that suggesting a favorite ensemble is not easy. If we had to pick a look for this tie, then we suggest a classic business look consisting of solid white shirt, gray suit, and fine black oxford dress shoes. Made from 100% silk.